Got 99 problems? Forget 99, since we are part of the millennial generation, we’ve got more than a few hundred problems, don’t we? From relationship issues to not catching Pokemons, our list of problems seems to be never ending! But fear not, because like all things in life, we’ve (somehow) found the perfect solution to all our #millennialproblems! What is it, you ask? Music! And not just any music, but the one that we’ve been listening to (and even singing while being drunk) since years! 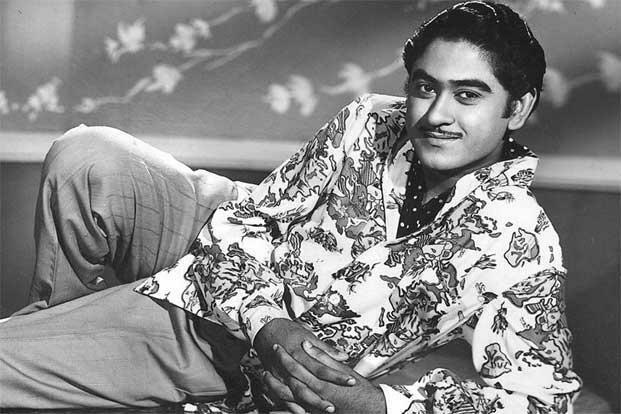 The kind of music that doesn’t get old no matter what decade you are in: Kishore Kumar songs! Promised your bestie that you will stay together forever but still fighting? You know what’s going to resolve it? No, not a long cheesy Instagram post! Kishore Kumar’s song Yeh Dosti from the classic Bollywood film Sholay! Friendship problems? What’s that?! Face it, impressing a girl is the most difficult thing you can ever do! And especially if she’s playing hard to get! Agree or agree? Don’t worry, the best of Kishore Kumar will definitely come to your rescue! Wooed the nautanki already? Of course you did! Let’s all accept that all millennials are victims of having mixed feelings, especially when it comes to love! This Kishore Kumar song is dedicated to all our relationship problems, may they get solved asap! Who are we kidding? They won’t, but you will at least listen to this amazing Kishore Kumar song! Is your #squad facing problems with a rival squad? Well, show them who the winner is! This ‘Rocky’ song by singer Kishore Kumar is perf for all those occasions when you are having a face-off with your enemies! You don’t need anything more than a song to flaunt your restless spirit! Most of us millennials have a serious case of wanderlust and this hit of Kishore Kumar sounds like it’s made for us nomads! Fell in love but got your heart broken as well? Well, we are sure you are drowning your sorrows in a bottle of your favourite drink right now! But, wait, this Kishore song will keep you perfect company while you weep, shout, or break glasses! This one’s for the biggest problem every millennial suffers through: asking someone to pay up! We mean, why wouldn’t they return your goddamned money?! Instead of sounding rude, just do it with this song of Kishore Kumar! Don’t sing it out to the person, but you could at least play it out loud so that they get a hint? Trust us, it works! Haven’t explored Pakistani songs yet? Time to start listening now!